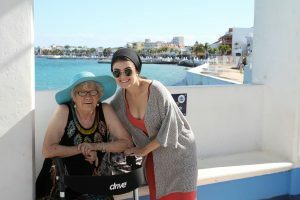 “A Wanderlust” perfectly describes Frances, an 81-year-old woman with a zest for traveling and lifeand a deep love for her family, especially her granddaughter Ramsey. 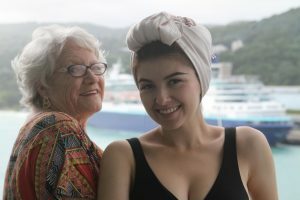 Traveling, exploring and experiencing life with her family are Frances’ greatest pleasures so when she suffered a stroke in September 2016, her biggest fear was that she may not be able to resume the life she once enjoyed. Because Frances isn’t just an avid traveler; she is also the type of gal to hang Christmas lights on her rooftop with a pin map marking her destinations. Although her stroke was devastating, she was determined not to let it define her. A successful recovery was the key for Frances. 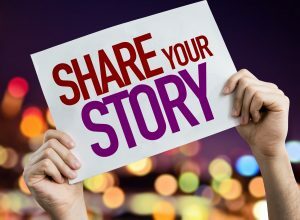 The stroke left her balance unstable, and it was heartbreaking for her to go from hanging Christmas lights from her rooftop to using a walker – let alone the bland, hard-to-fold, cold, ugly silver walker the hospital supplied. 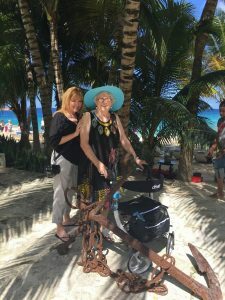 This walker was not a mobility aid that Frances identified with, and it made her feel like she was in worse shape than she actually was. Determined to help her Grandma get better, Ramsey gave Frances a hand-me-down walker from the assisted living facility she once ran. It was nice, but it was very heavy, bulky and once again, it didn’t make Frances feel good. And feeling good was important to Frances. Ramsey was determined to find a better mobility aid for her grandmother, one that would help her grandma feel good. And Frances had specific requirements that she wanted as well. 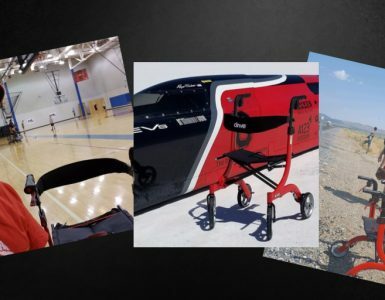 She wanted a mobility aid she would enjoy using, one that would be easy-to-use, and could be versatile – an aid that she could use if she ventured out for a long adventure around town or traveling to the next exotic destination. 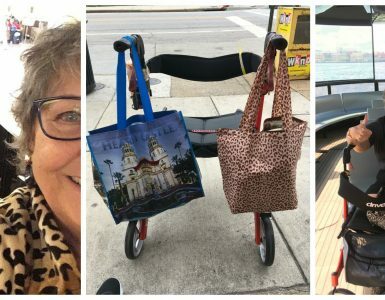 Since her stroke in September 2016, Frances has taken her Nitro to Disneyland and Disney World, Atlanta, the Grand Cayman Islands, the Bahamas, and Jamaica. On her most recent cruise to Cozumel, Mexico, Frances was the belle of the ball. Everyone with a “regular walker” stopped her and asked about the Nitro. During her stay in Mexico, Frances said the Nitro traveled on cobblestone and even sand. She was amazed that she could easily walk through the narrow cruise ship hallways (She loved the seat handle for easy folding! ).